Oh My Glitter is a pretty purple polish with very fine purple and pink shimmers, which I struggled to capture on camera. 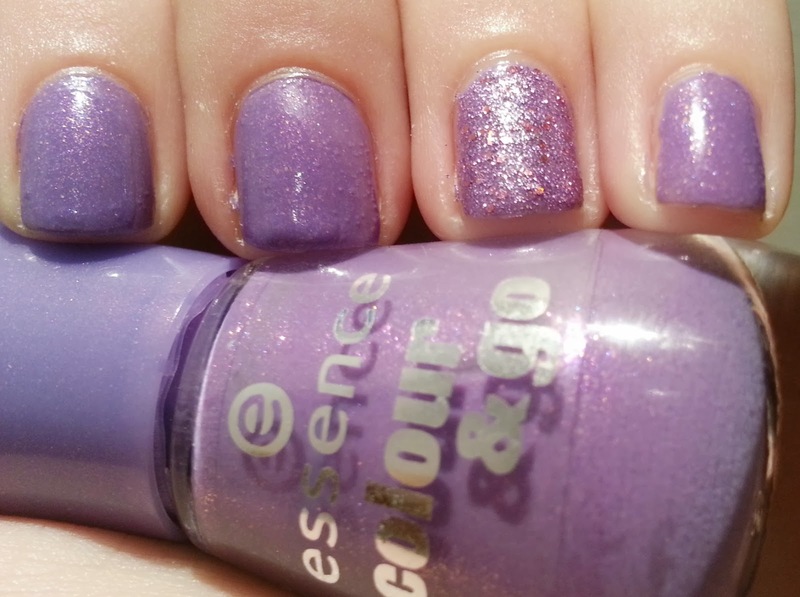 I really love this colour BUT unfortunately, the polish is very sheer and streaky. The above swatch is with three coats and in direct sunlight, I could still see sheer spots. Hmmn, maybe one for layering in the future. I just had to pair this with an accent of the insanely shimmery "Be-Jeweled" Gem Crush polish from Sally Hansen (which I picked up on the Clicks sale) as the purple and pink tones matched flawlessly! This colour looks stunning on you, pity that its streaky. I love your new blog look! That is so strange, my oh my glitter is quite opaque. I will consider myself lucky. The colour looks stunning on you.